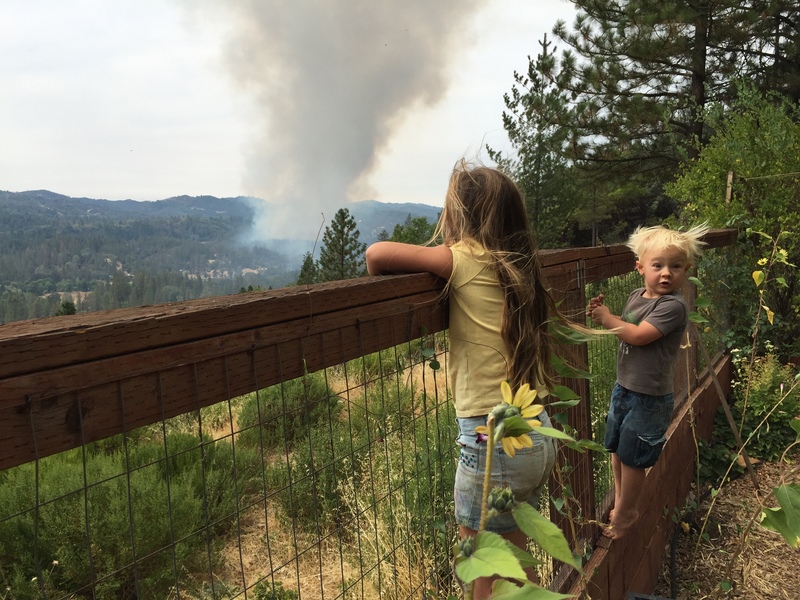 What do Californians who’ve lived through these natural disasters think about climate change? Governor Jerry Brown is determined to leave a big footprint at the Paris climate talks, but how do the attitudes of average Californians shape the state’s role on the world climate stage? That’s what the BBC World Service set out to explore when it chose to feature California as one of three locations around the world for its new series ‘Local Warming,’ airing as the Paris talks progress. KQED partnered with the BBC for the California segment. Radio reporters in the Philippines and Nigeria anchored the other two segments. I teamed up with BBC producer Ben Carter to bring the voices of regular Californians to World Service listeners from Nairobi to New Delhi. Our goal: to hear the voices behind the polling data that an overwhelming majority of Californians see climate change as a serious threat to the state’s future. Polls also show that most Californians think the state’s drought has been intensified by climate change. We traveled the state talking to farmers who’ve lost their crops, and rural residents who have no drinking water because their wells went dry. 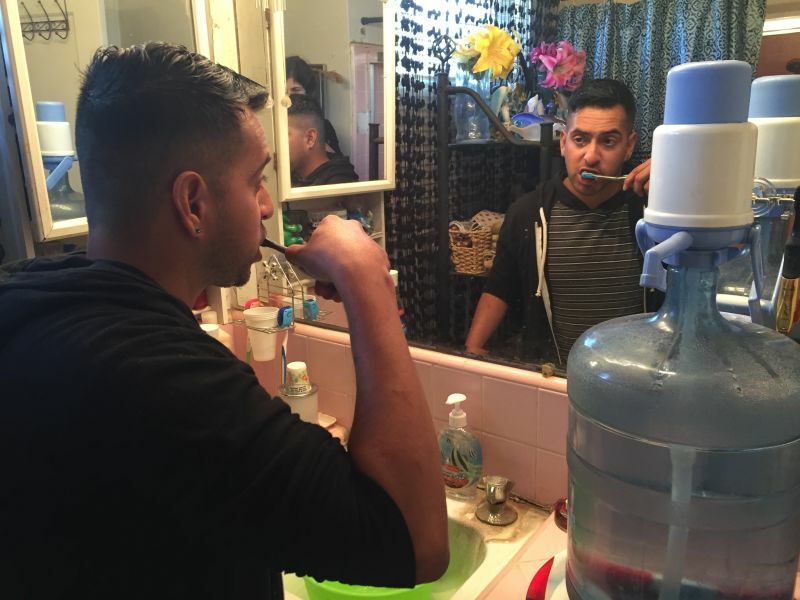 Guillermo Lopez, a Fresno County resident, showed us how he brushes his teeth using two tiny paper cups of water he pours from a jug. BBC listeners may be shocked to hear from people living without running water in the wealthiest state of one of the richest countries in the world. One of the most memorable interviews for me, though, had to do with the other climate extreme: sudden, intense rain after months of drought. Trucker Shannon Doyle showed us chilling video he shot on his iPhone when his 18-wheeler was stuck in the October mudslides in the Tehachapis. The river of mud was 12 feet deep in some places. 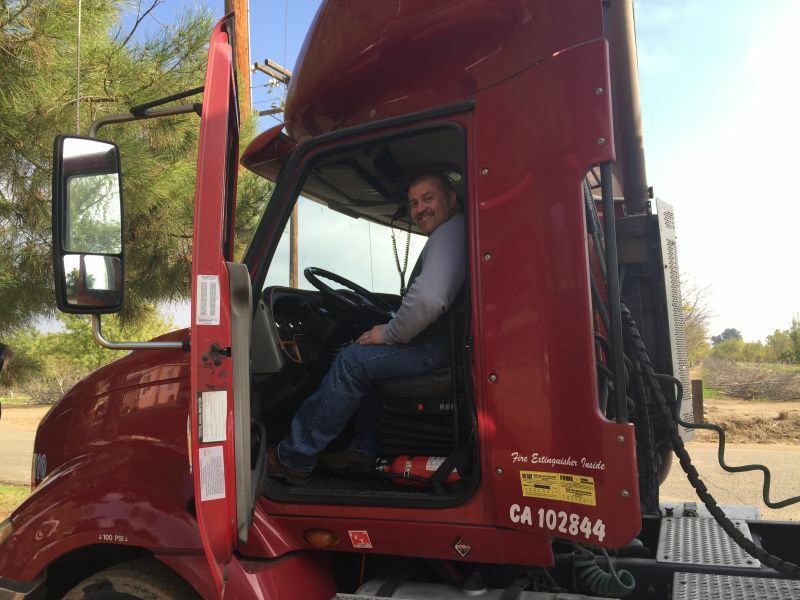 Doyle makes his living as a diesel trucker, and he resents California’s strict regulations on air pollution (including carbon pollution) that require drivers to spend money upgrading their trucks and make them more aerodynamic and fuel efficient. But at the same time, he thinks climate change is already reshaping California in very real ways, and he’s worried. California’s car culture fascinated BBC producer Ben Carter. He doesn’t drive in the UK, but takes the train to most of his radio interviews. He was fascinated by our Amtrak ride from Fresno to the Bay Area, when he realized that the five-hour journey could be made in just three by car. Californians are still heavily car-dependent, even if they’re environmentally conscious and willing to alter their lives in other ways to reduce their carbon footprint. Take Luke Iseman and the others we met at "Containertopia," a Bay Area village of shipping containers occupied by a group of young artists and entrepreneurs. “I think that for sustainability to be scalable, we have to do a 'less-but-better' version of modernity, where we have modern conveniences but we create a different model, a new desirability, instead of everyone wanting giant houses in the suburbs,” Iseman told me. 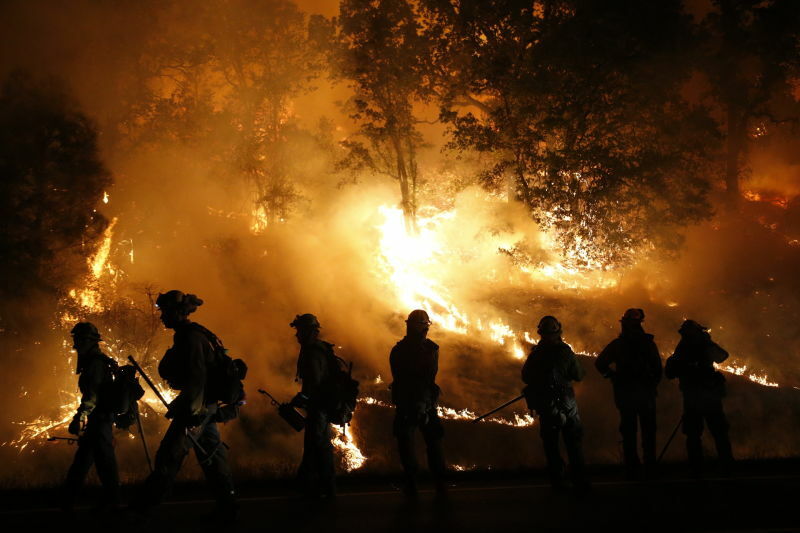 The documentary also tries to capture the devastation and intensity of California wildfires during this drought. 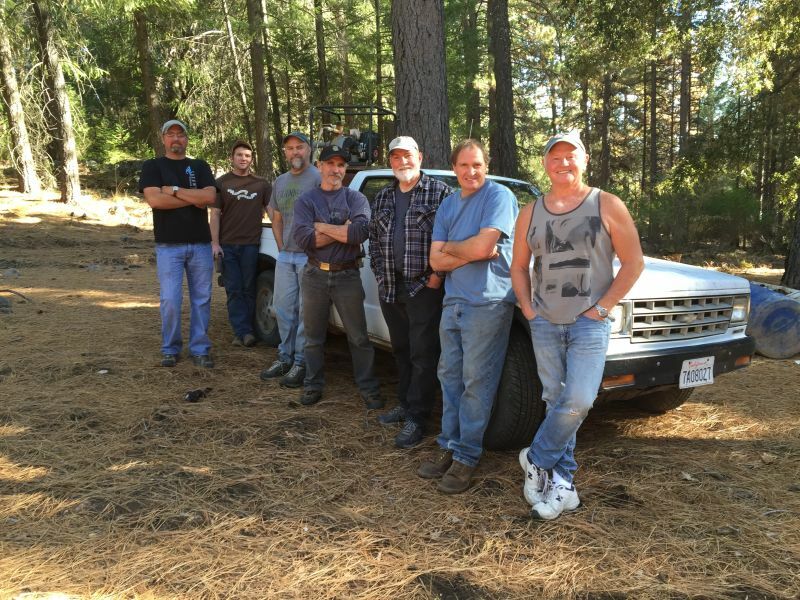 The Prathers say they’d like to find an electric vehicle that could scale their steep, muddy mountain roads. We also toured the charred remains of Jessica Pyska’s home, where she pointed out her son’s melted toy trucks in the rubble. One silver lining for Pyska: she and her neighbors are planning to rebuild their houses to be more energy-efficient.